In many areas where travelers meet nature on the lush, green island of Kauai, there are signs promoting conservation and protection: Stay on the trail. Take only pictures. 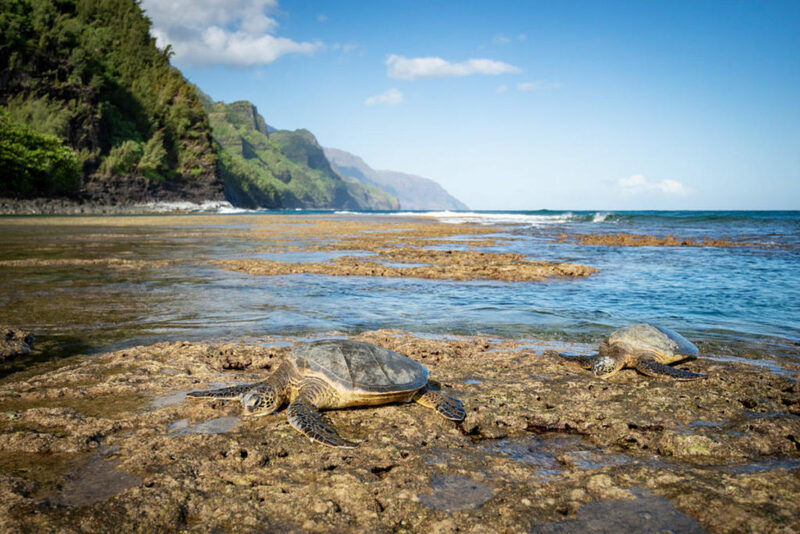 These are fundamental rules of respecting the natural world and are increasingly becoming norms as we learn more and more about the human-caused environmental impact on Kauai. While these rules and methods of protection may seem obvious, others are not, such as the protection of what lives and breathes underwater. The use of chemical sunscreens, such as oxybenzone, can cause severe damage to Kauai coral reefs. That’s right, the very sunscreen that protects us from skin cancer washes off with water, killing coral and thus impacting the health of the reef. This, along with rising water temperatures (thanks to climate change), coral mining, pollution, and overfishing, are destroying reefs around the world. We know there is a strong link between chemical sunscreen used by humans swimming and snorkeling on Kauai and reef damage – that much is clear. But what is actually happening? A common sunscreen chemical called oxybenzone is present in many sunscreen products. It has been shown that oxybenzone contributes to coral bleaching, a process by which toxins cause the coral to lose its color, which causes a decline in reproductive capacity and species diversity. These chemicals are also known to inhibit normal growth, especially in younger and developing coral. 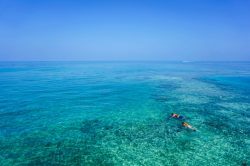 These may seem like relatively minor effects, but let’s look at it in scale: It is estimated that about 4,000 to 6,000 tons of sunscreen enter coral reefs every year. And this is only the sunscreen having direct impact in the local reefs – certainly, the amount entering the oceans as a whole is much, much higher. About 25 per cent of animal species in the ocean live in coral reefs, making them a vital habitat for marine life, and part of an important ecosystem. Apart from playing host to marine life, coral reefs may also help reduce global warming. As do trees and other plants, the algae living inside coral absorbs CO2 in the process of pthe hotosynthesis. 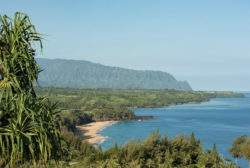 Thus, reducing human impact on Kauai coral reefs has the potential to both reduce global warming, prevent destruction of a vital habitat for many species, and, in fact, increase tourism – hopefully, the responsible kind. From an economic standpoint, reefs bring in an annual $30 billon for their value as a tourist attraction and natural wonder. You can contribute to the healthy growth of coral reefs in Hawaii. Do your best to use only mineral-based sunscreens, such as zinc oxide or titanium oxide, which have no known effects on coral reefs. As far as skin protection goes, zinc oxide is an effective form of waterproof protection, preferred by surfers and those who spend hours at a time in the water. 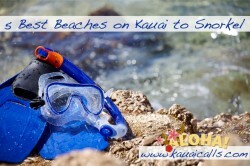 Trade in products containing oxybenzone and octinoxate for mineral-based, non-chemical sunscreens that both keep both you and the reefs safe while snorkeling on Kauai. Kauaiian vacationers can opt to wear long sleeves and hats to reduce the need for sunscreen while also remaining protected. No one is advocating to leave skin exposed to the sun, but they are asking us to protect ourselves more responsibly. Being more aware of the relationship between coral reef damage and sun protection are good first steps. 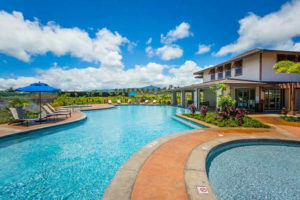 The state of Hawaii is well aware of the environmental impact on Kauai and the other Hawaiian Islands that is caused by sunscreen, and is taking steps to fight reef damage. Just recently, Hawaii has become the first U.S. state to ban sunscreens that contain coral-damaging chemicals, though the ban won’t come fully into effect until 2021, according to a 2018 Slate report. It will be illegal in the state to sell sunscreen products that carry oxybenzone and octinoxate, forcing consumers to choose instead natural and mineral-based sunscreens. Whether local or visitors, all who play on the Hawaiian Islands can do their part to save the coral reefs. We want to see the Hawaiian reefs thrive, grow, and contribute to the greater natural world that we love to witness and explore. 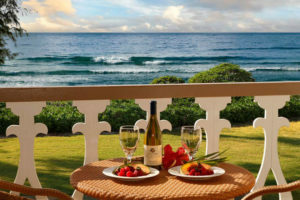 For more information on Kauai’s natural attractions, island tours, activities, and how you can enjoy them responsibly, contact us today. 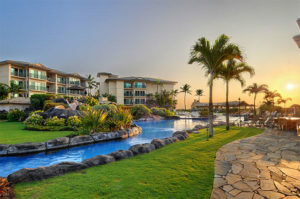 You can stay at an eco-minded Waipouli Beach Resort and Spa, giving you a first-rate pass to the nature of the Garden Island. As we become more conscious of how our presence affects the beautiful earth we live on, more and more consumers are demanding safe, healthy products like cleaners, food, and beauty products. Your vacation essentials should be no different. Please pay close attention to what you pack in your suitcase and the sunscreen you purchase for your stay. “Cruelty-free”, “biodegradable”, and “reef safe” are all great words you should see on the packaging. See the suggested products below.